This course is an introduction for teachers into creating and using video as part of their teaching practice. If you have ever wanted to only use part of a video and put it in a PowerPoint, wanted to try flipped learning or wanted to show your students how to record an interview this one day workshop is for you. We will go through the fundamental skills and techniques you need to make better looking and sounding videos and do it as efficiently as possible. Any teacher who likes the idea of using video but has always found it a bit daunting or doesn’t know where to start. This workshop is very practical, in terms of in the way it is taught but also how you can use it in the classroom. The whole program is hands-on you will apply the information straight away using the latest equipment and software. A basic introduction to the mechanics of video from pixels and panning to frame rates and file formats. The basic principles of shooting editing and exporting video. From framing and lighting choices to sound recording and editing tips. 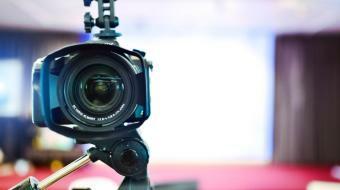 Refining your shooting and editing and exporting your video files. Looking at where and why video can add value to teaching and learning experiences and how to plan for and incorporate it into lessons and assignments.